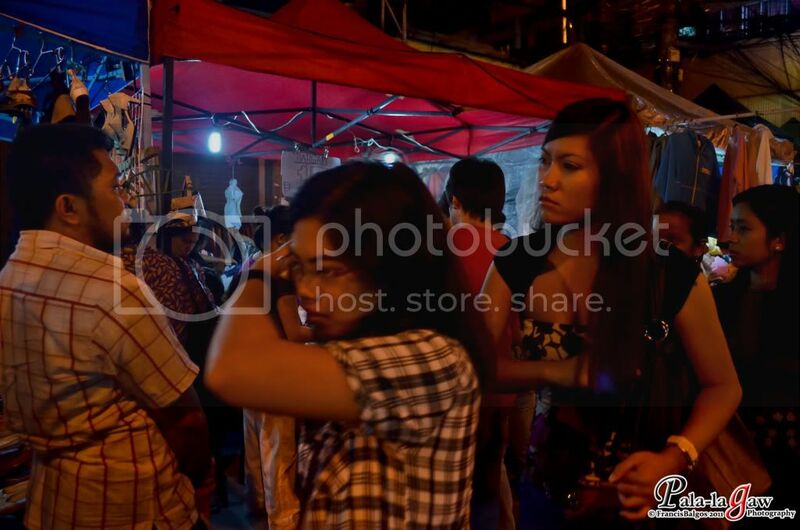 Note: The pictures and events I'll post here was done a month prior to the Typhoon Sendong Disaster. I like walking in Cities. Cagayan De Oro City is hardly the best city for this, but surprisingly a lot of people do walk here. 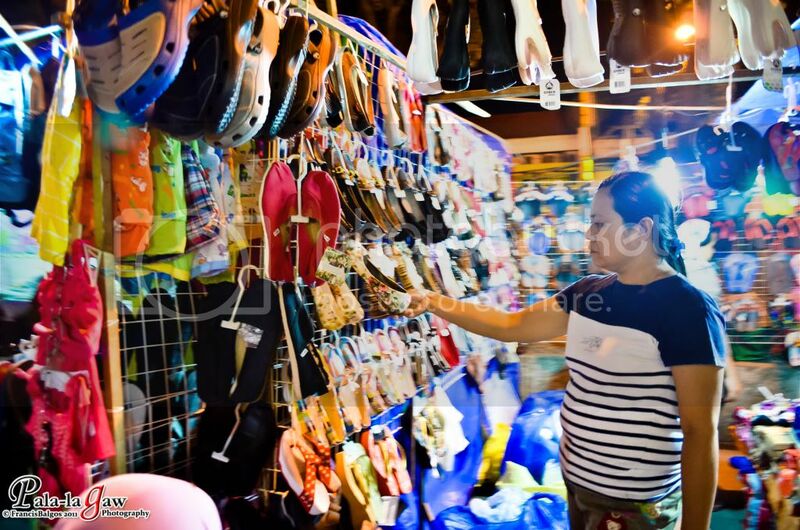 As of my experience when I tried walking to their weekend night market in Plaza Divisoria, It was time to look at CDO in a different light. A city of bustling people, walking to and fro, traversing from either Taxis or Motorela or simply walking through a few blocks. Like in any other city, traffic goes heavy during rush hour. This Tribute for the Slain Media men is one of the Monuments that I passed through. My camera was bulky, and I hated that particular disadvantage where people tend to notice if I am shooting at something, I only took a few shots and went my way. It was my first time, without any idea of the city's locale. So I decided to walk to Plaza Divisoria from my lodgings in Budgetel. It was probably a good choice as I was able to watch the size of the city and understand their local traffics. Being the Gateway of Northern Mindanao, Cagayan De Oro lives up to it. It was good timing that I did this on a Friday early evening, several streets are closed for the Night Market activity. Sections were situated for food market, so instead of hunting for a good place to dine, I had dinner on the same place. The walk though just from Budgetel left me sweating, it was a hot November day after all, a hearty meal is a welcome thought. I tried lechon to reward myself. I was hungry but wasn't glutenous this day.. The food is too yummy to resist though, I ended up overeating. 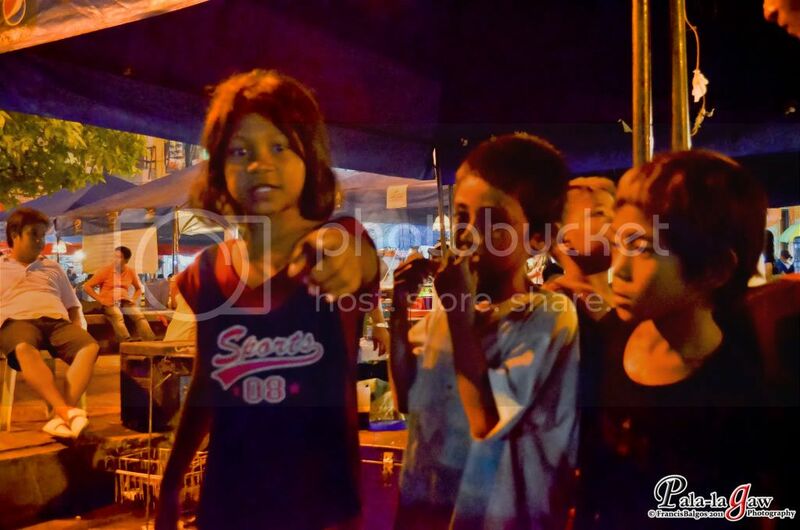 I met a few street children. 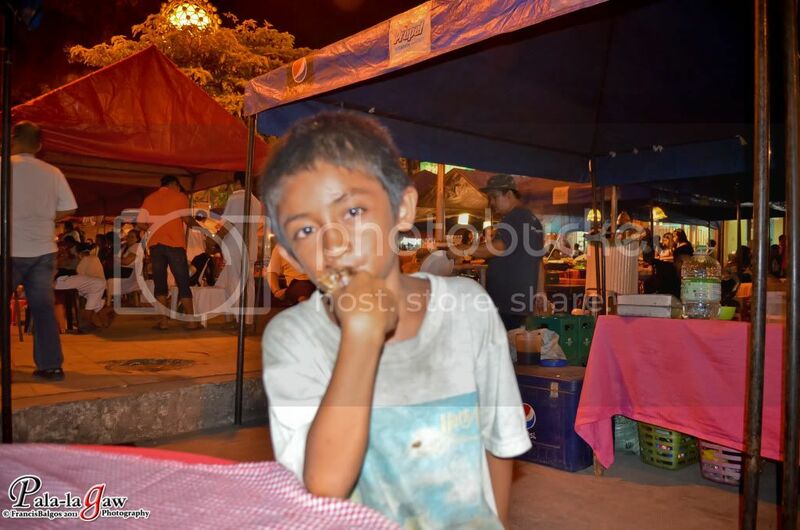 Note that this picture was taken a month prior to the Typhoon Sendong Disaster. I pains me to think what may have happened to these kids. I don't believe that they're orphans, but more rather like children allowed to roam the city streets freely. This boy here was the boldest in their bunch. He gallantly posed in front of my camera while munching on the lechon I gave him. I didn't have time to adjust my camera settings because the event was unraveling rapidly. He was asking for a quick picture. This is where I met a few of the street children's, I gave them my excess meal which they heartily shared. And what do I get but a smile of gratitude. No one's bothering with them or taking much attention. I was torn between giving them more or just let them be. I don't agree to giving alms to children in the street because it would encourage them to continue and make a living out of it. In the end, a few scraps of my meal was enough and I was rewarded with a smile and a pose in front in my camera. I was charmed, as they had been polite and not as pesky as the one you'd see in EDSA. After dinner, I investigated the night market. It was busy, but I rather love the good finds I got. A nice red jacket and Khaki pants suits me well. All around, newly opened Ukay Ukay goods are sold, lots of good finds for me, but I can't bring too many. I have to keep travelling light and easy. Last thing I tried was to ride the Motorela. The routes are confusing as I didn't know how to hail a Motorela. Sidewalk vendors prove to be a good help when you need directions in a big city. He could also help with locating the best resorts and lodges that suits your budget. I do hope those kids survived the deluge in NorMin. They remind me of that telenovela in ABS-CBN. 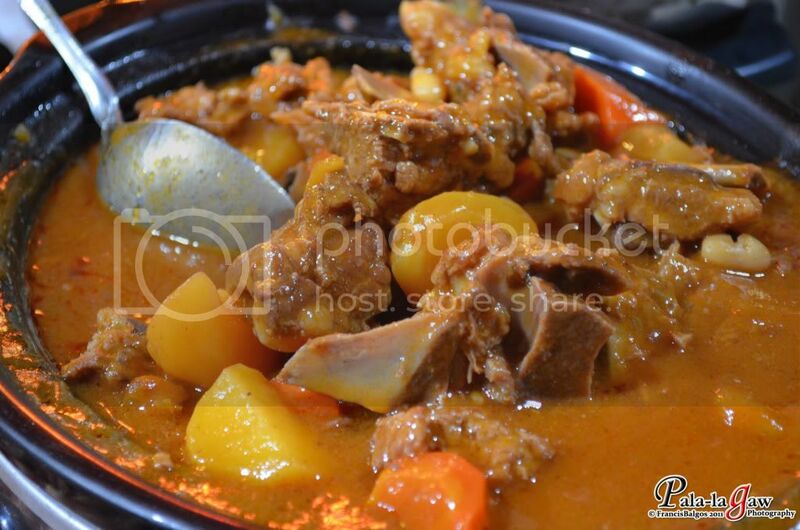 putrik ni jamby! ansarap lang tingnan ng foodies. nam nam! hahaha!! anong telenovela yan??? I don't watch TV much kasi. 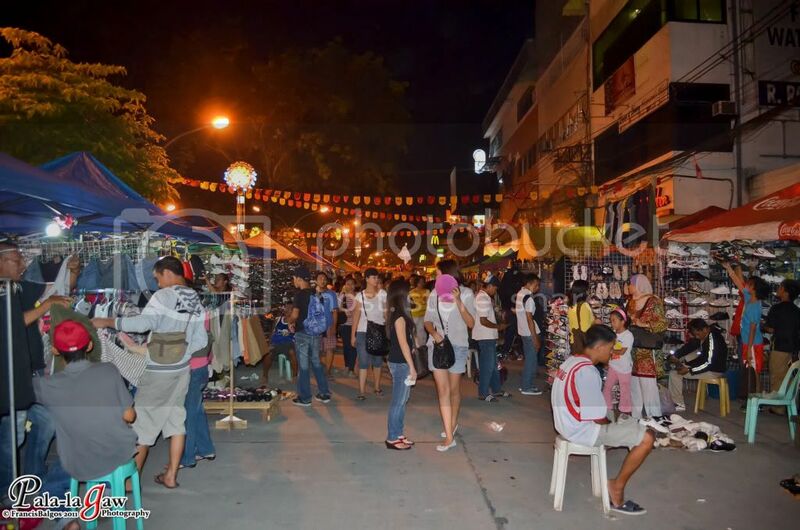 kumusta na kaya ang night market after sendong? That motorela I'm sure is torn by Sendong when the flood rampaged Barangay Consolacion. Barangay Consolacion was hit badly with that great flood. That was also the barangay where Kris Aquino distributed the relief goods.:-). Thank you for visiting my home town Cagayan de Oro. Cagayan de Oro is where I grew up and graduated in College. 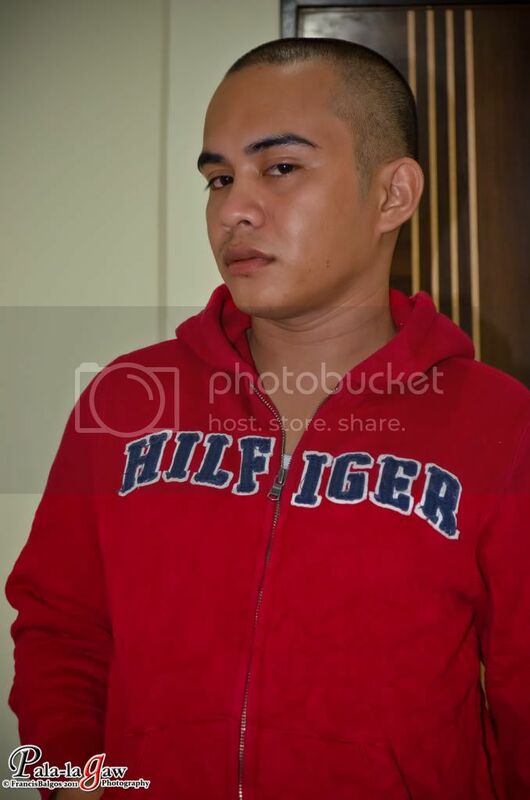 Continue your blogging and your passion in photography bro. Good luck. Sarap! sarap! 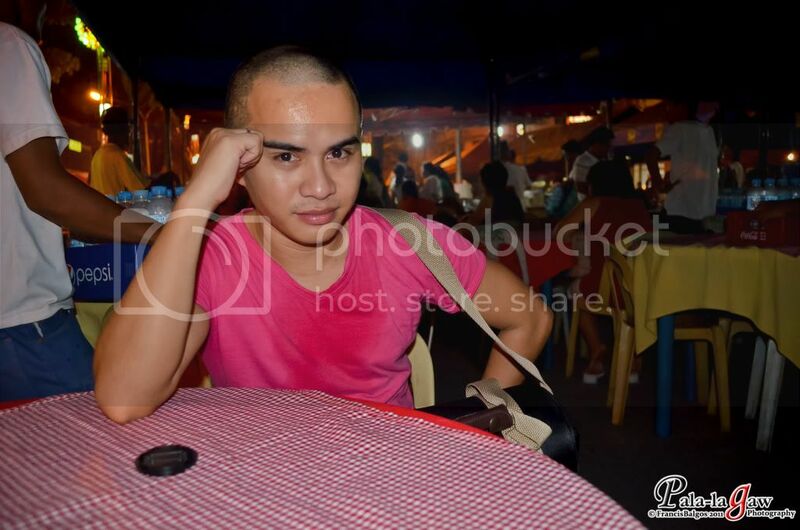 Glad that you has a chance to enjoy Night Cafe at Divisoria. 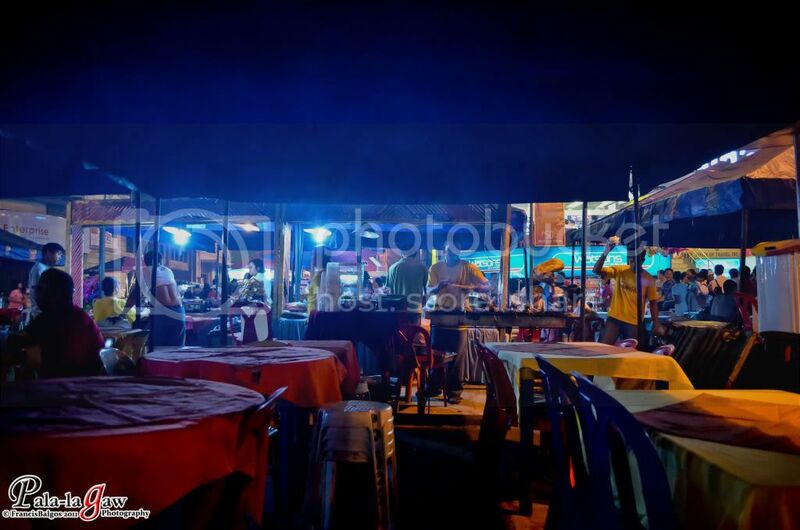 bat kaya nung nag night cafe kami walang mga food stalls? di rin nakasara yung road. puro mga ukay lang nakita namin, friday night naman.. I have commented on the previous post Francis so I am leaving my comment here. CDO by night is great. I love Divisoria and shopped there for their ukay-ukay too hehe. The photo that you had with the children is remarkable. Seldom will i see travelers in many of life's road who easily shares and you are an exception. God bless you more Francis for being such a kind person. 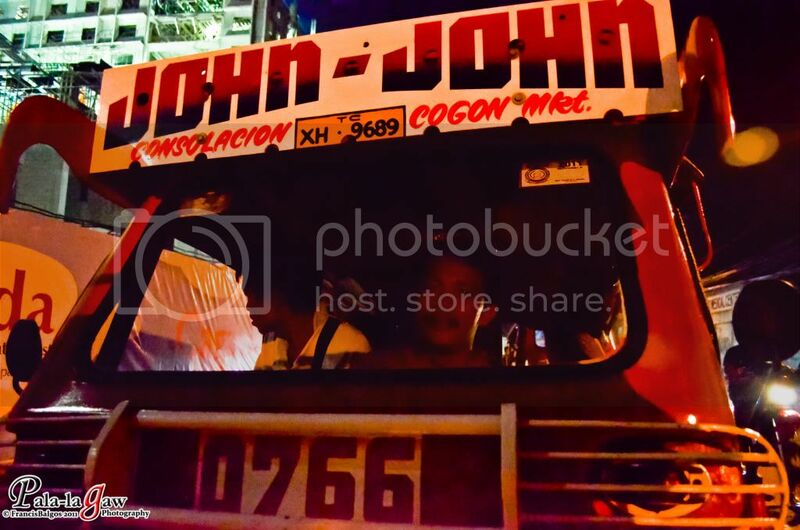 By the CDO is 7 hour bus ride from where I live in Pagadian. I hope then to see you on the road. The food looks good! I agree in CDO is one of the best place i've visited. aw, ano yung mga bata sa kalye nakatira? nabiktima ba sila ng kalamidad? ang ganda at mukhang masarap ang mga pagkain.. too bad nasalanta sila.. It's so sad that CDO was smashed by the typhoon. I'm optimistic that the smiles in their faces will return in no time. 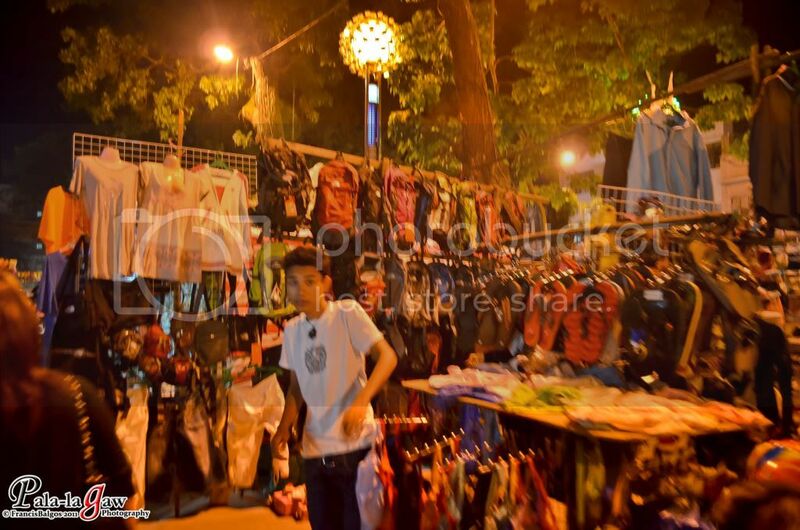 CDO is an ukay ukay kingdom! when i'm in CDO my friends always bring me to Plaza Divisoria for street food tripping! thanks for sharing the post, namiss ko CDO and my friends who are all in Manila now and in the US. I also love doing a walking city tour because it makes me know the city more, to be familiar and discover something else. 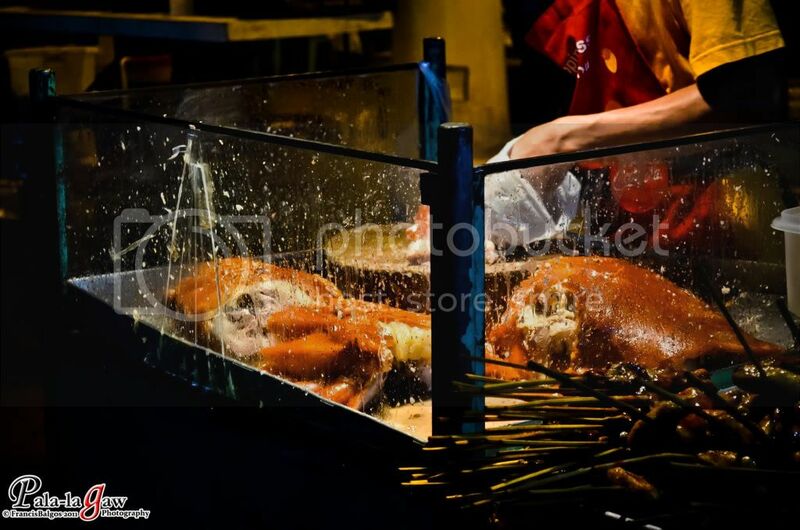 Is there lechon more special than here in manila? @ ROM - I can't say for sure.. I just hope that they survive. 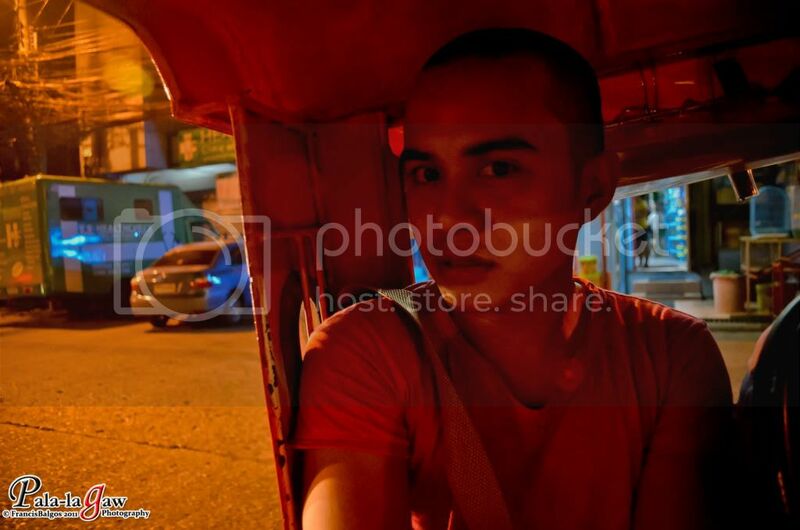 @ Markpogi - thanks for reading my post.. I feel lucky to have experienced CDO before Sendong.. I hope to take part in it's rehabilitation by promoting it. @ Krystle - CDO is a warm city.. As it is.. we should hear more of CDO in no time.. They'll make a history out of this and will draw more people to this bustling city. @ Vonn - I can't tell for sure.. But I know, the people are still recuperating. @ Paliits - I agree po! hahahah! I got myself some good stuff in their.. very cheap too. @Mhe-anne - seems like a lot of people did have a good time in CDO, good times afre always good memories. @Ma. Novie - Pinoys are naturally receptive.. I know CDO is not yet fully recuperated, esp the Tourism industry.. I hope that by writing post like these. I could help them in my own way. @Stacy - I have no idea.. I think the best Lechon is in Cebu.. but then we have our own opinions. @ Kathy Ngo - IF you read the post.. you'd know the reason why I didn't buy them food. and this was a month prior to the Sendong disaster in CDO. 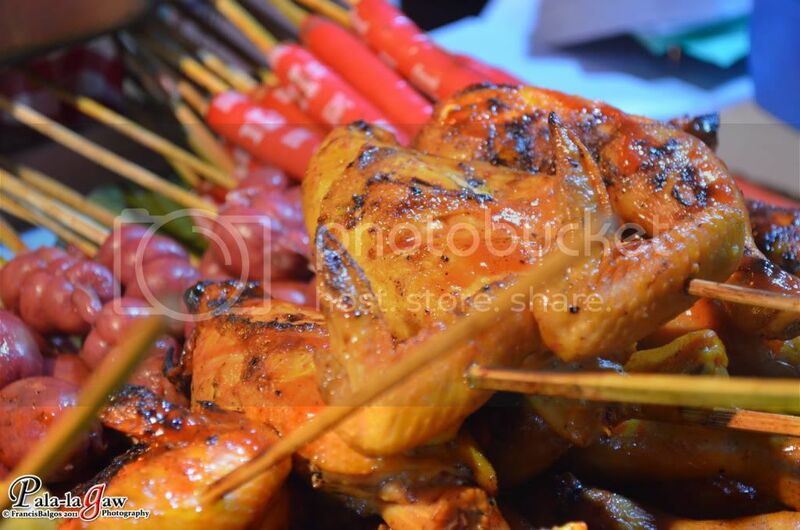 Nakakatakam yung mga photos mo ng food. Lalo na yung Lechon. Ke CDO or CEBU yan. I don't remember the titles of these telenovelas (also don't watch TV, just a glimpse sometimes when I'm having dinner), but ABS-CBN usually have ones with child stars in them. Your pix remind me of these shows. Though this was posted over 4 years ago, I do hope that the people at CDO are able to survive such tragedy and now living life much better than they did before. 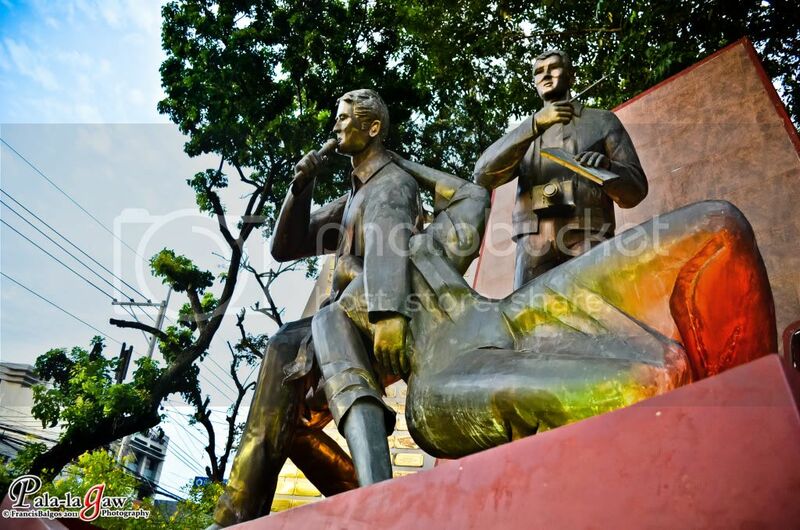 By any chance did you happen to visit these houses in Cagayan de Oro? I heard they have great deals with regards to house and lot needs. More great adventure ahead!